New this year, Canada’s Outdoor Farm Show (COFS) is pleased to welcome Mountainoak Cheese, Stonetown Cheese and others for a small local farm market. Farm ventures have many opportunities to produce value-added products from their farms. Along with tasting samples and stocking up on cheese and other local goods, farmers will see a showcase of value-added farm products. 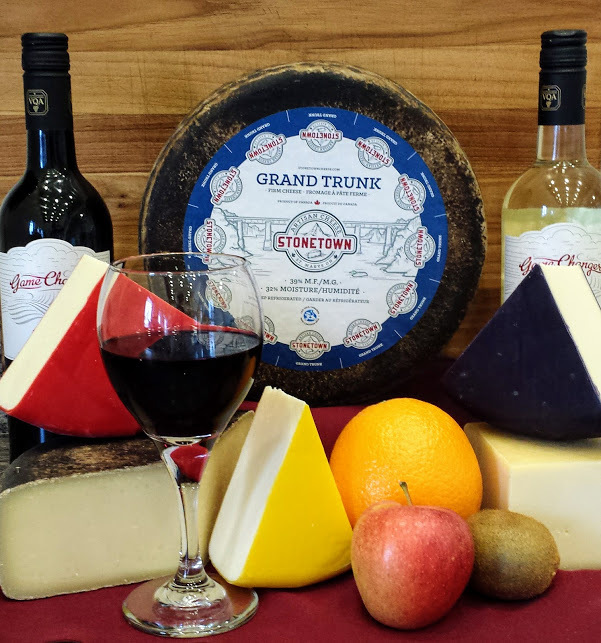 Stonetown Cheese is one such example . Having worked in the Swiss Alps it was always a dream for Hans Weber and his family to make high quality cheese reminiscent of the renowned Swiss Mountains, made from their own milk. “Anytime there is a chance to display and promote our cheese to the customers and other farmers, Stonetown is there”, says Weber. Mountainoak Cheese, another local farm market participant, is no stranger to COFS as they have provided their award-winning artisan great tasting gouda-style cheese to several functions during the show. Mountainoak and Stonetown will be setting up under the tent in the Glacier FarmMedia Hospitality Lounge beside the farm pond opening at 10:00 a.m. daily. They will offer refrigeration for purchases until the end of the day. Stay tuned to outdoorfarmshow.com for a complete list of local farm market participants.